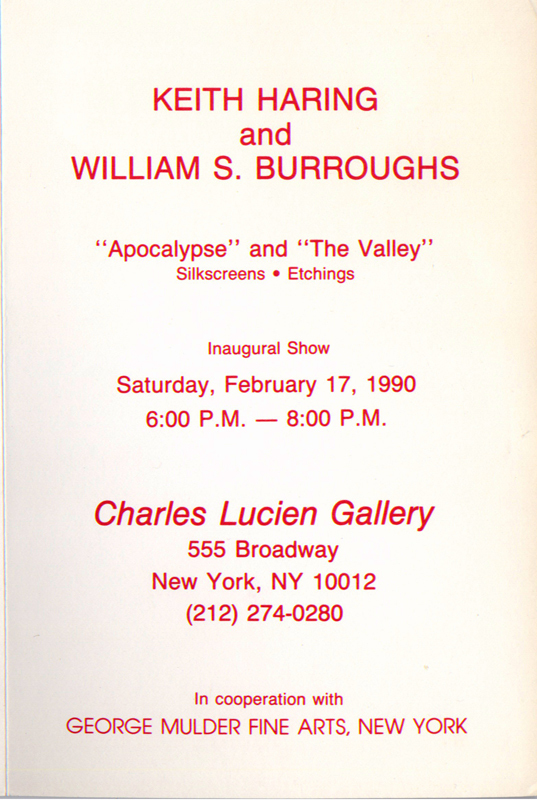 Invitation for “Keith Haring and William S. Burroughs, Apocalypse and the Valley at Charles Lucien Gallery;” folded invitation, offset print on card stock, 8” x 5 ¼”, 1990. Opening reception scheduled for February 17, 1990. 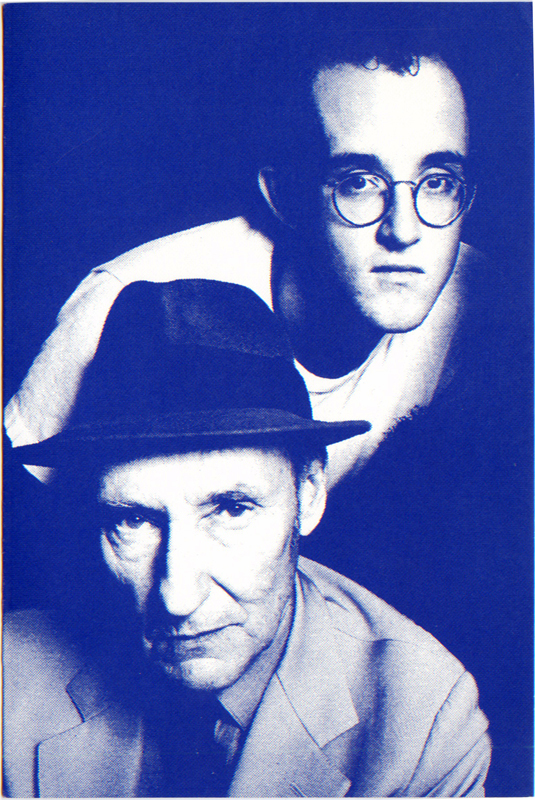 Haring died on the 16th.